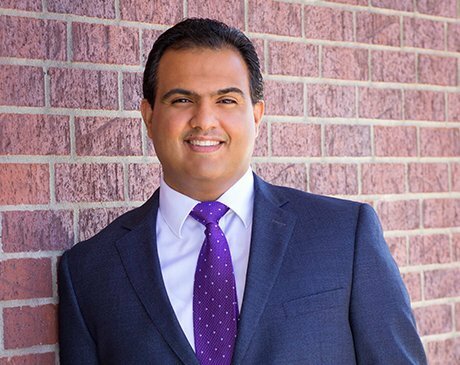 Dr. Ahmed Ali is the founder of Noydeen Beauty and Noydeen Medical Group in Conway, Arkansas and is a board-certified in Internal Medicine. Dr. Ali received his medical education at the State University of New York in Buffalo where he received stellar academic and practical training. His dedication to his patients, his passion for being a physician and his commitment to continuous learning earned him wide recognition among his patients, peers and program directors. Dr. Ali moved to Little Rock in 2010 and ever since his residency time at the University of Arkansas, it’s been a perfect match. For Dr. Ali, Little Rock and Conway presents a unique blend of history, culture, nature and education and Dr. Ali is thrilled to be an integral part of this thriving community. Being part of the community in Little Rock and Conway has always been about caring for his patients. Just as caring for his family – his wife and three daughters – Dr. Ali is committed to putting the needs of his patients first and honoring their trust in him as his doctor. Noydeen Medical Group in Conway, Arkansas opened with stellar success and Dr. Ali earned the notable respect among his collogues and patients who trust him for his medical compassion, expertise and professionalism. With the successful launch of Noydeen Medical Group, Dr. Ali recognized the need to add medical aesthetics to his treatment offerings to address the needs of his patients. Soon after, Noydeen Beauty was added to the practice. With Noydeen Beauty, Dr. Ali embraces the importance of aesthetics and utilizes state-of-the-art treatments based on science and clinical results. Under the supervision of Dr. Ali, Noydeen Beauty is about providing clients with personalized treatments based on medical principles and innovative technology.